So you are looking for great destinations for your kids to enjoy. Well, you’re in luck! Trinidad and Tobago a full of kid friendly places to take them. Here is our list of the best destinations for kids that are fun, safe, adventure-filled and in some cases, FREE! The Emperor Valley Zoo is the main zoo in Trinidad and Tobago, located north of the Queen's Park Savannah and west of the Botanic Gardens in Port of Spain. It is also the only zoo in the Caribbean to house Lions, Giraffes, an entertaining Giant Otter and a 30 year old 12 foot Crocodile. The Emperor Valley Zoo is dedicated to providing housing, meals, recreation for animals and, yes an exciting experience for the enthusiastic animal lover and even the average visitor. Since its first opening to the public in 1952, the zoo has added an amusing horde of animals to the EV family that has been the centre of attraction for visitors. 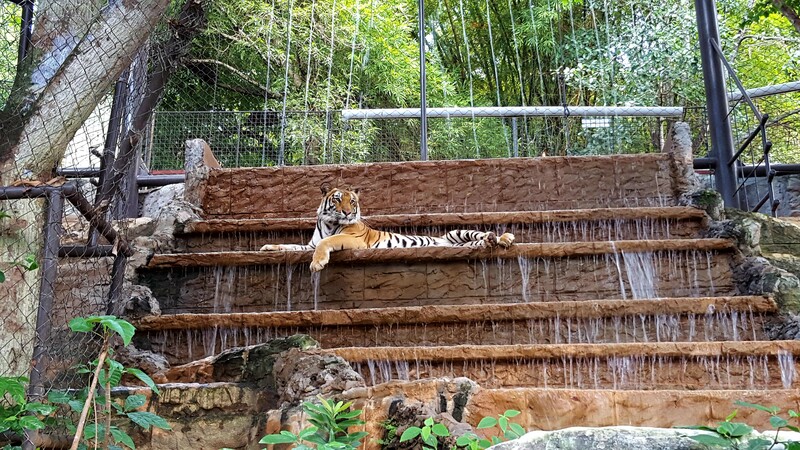 At present, the zoo exhibits over 100 animals which include, Monkeys, Snakes, Lions, a varied species of Fish and Birds and recently added llamas, Flamingos, 2 Giant Otters, a tower of Giraffes, Warthogs and White Bengal Tigers. Located adjacent to the Botanical Gardens, Port of Spain; the Zoo sits on a spread of lush flora and fauna that creates a relaxing surrounding for visitors. Getting its name Emperor from the name Morpho or Emperor Butterfly (Morpho peleides insularis) that was once a frequent visitor to the flourishing area, the Zoo has become a popular attraction for Sunday family outings and school visits. There’s much to see and enjoy at Emperor Valley Zoo, look out for the new additions to join the EV family soon. From the depths of Africa to Trinidad, a rhinoceros, zebras and ostriches will soon be the newest attractions. Descend 100 feet underground and walk through a magnificent system of natural limestone caverns and caves on island of Gaspar Grande. 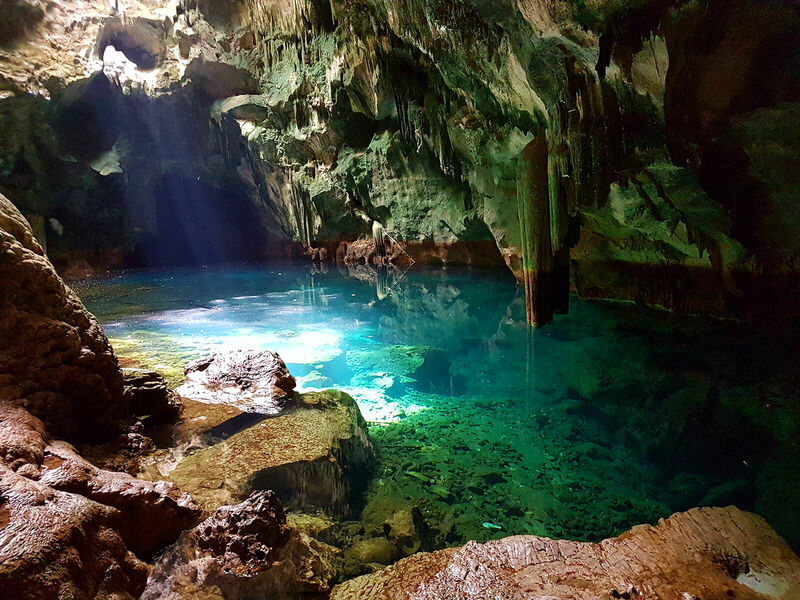 Gasparee Caves is a natural system of limestone caverns and caves created by millions of years of wave action and slightly acid rain on the island of Gaspar Grande. The largest of these caves is known as the Blue Grotto and was open to the public in 1981. At the bottom of the Blue Grotto (100 feet underground) you will find a mysterious clear tidal pool. Although swimming is officially prohibited, if you are lucky your guide may allow you to take a quick dip - which is an awe inspiring experience for those so lucky. The cave contains interesting stalagmite and stalactite formations which have been given nicknames such as "The Buddha", "Virgin Mary" and "The Lovers"Gaspar Grande lies 12 km (7. 5 mi) west of Port of Spain. 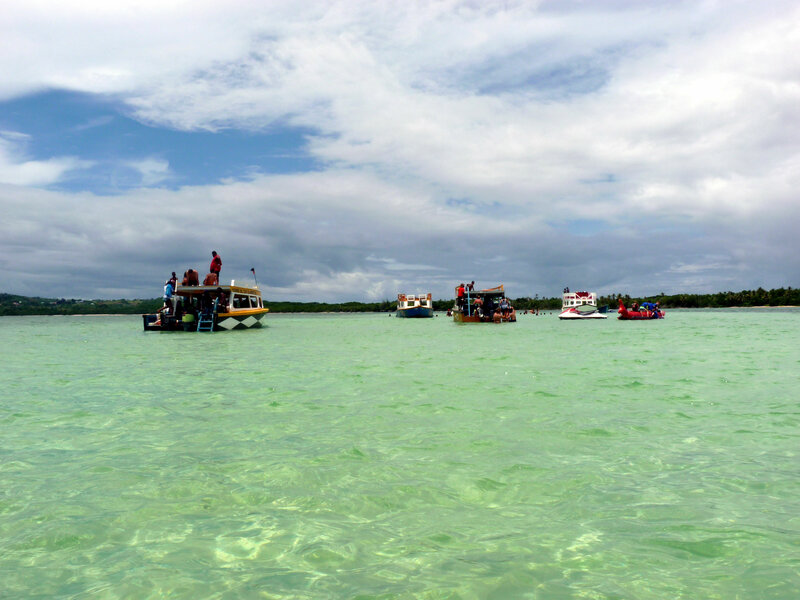 It is one of the "Bocas Islands", which lie in the Bocas del Dragon (Dragon's Mouth) between Trinidad and Venezuela. The Gaspar Grande is a 25-minute boat trip from Port of Spain or 15 minutes from Chaguaramas. Guests learn about the horses personality & character, their age & where they came from and how to interact with them in a gentle & easy way. Persons get to choose their horse/ team partner - guide the Horse, mount the Horse, go through the village where tours begin. Enjoying the beauty of the Horses, swimming with them in the sea, riding them on the sand are all part of this wonderful experience hosted by a lovely couple. Please come in comfortable clothes ( T-shirt/Tank & Short Pants) also walk with extra clothes for after the tour. Bring your camera or let the resident photographer catch you in the moment - everything else is provided. It is a 2 hour experience with a personal guided tour - everyone is welcome - no age limit . No experience needed - The only limitation is the weight limit (190 pounds). You need to make your booking in advance due to limited space. Rides are offered in Western or English saddles & riding helmets. The group is currently offering a trail-swim combination. This special 2 hour experience is a joyful one for both horses and riders, including first timers who have never spent time with horses. Excellent guidance and instruction makes it possible for all riders to be at ease. 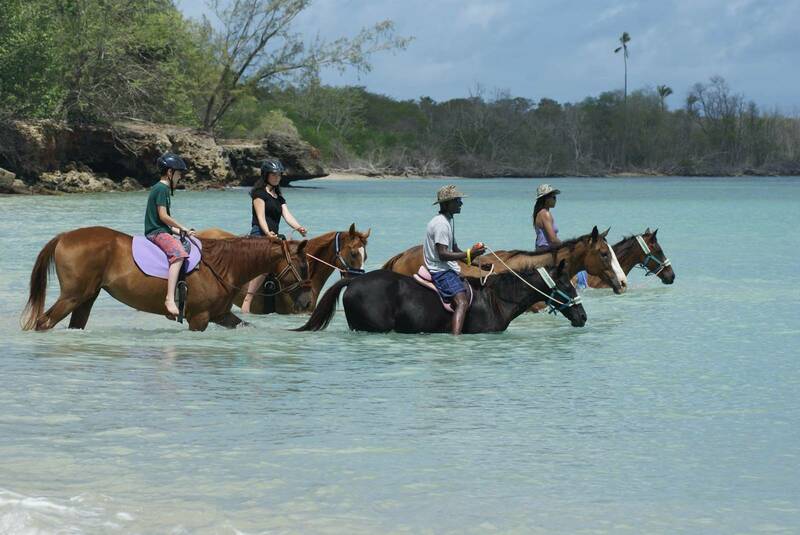 After introducing the horses to guests (at which point each rider chooses his/her ’team partner’ horse), the starts with a ride through Buccoo Village, past the goat race track and through the wetland mangroves to the beach for a long and exciting beach ride to the end of Buccoo Bay where the group can then swim with the horses along the shore . The cost of this guided tour is 600TTD (60 UK Pounds or 95 USD)per person (children and adults are the same price). 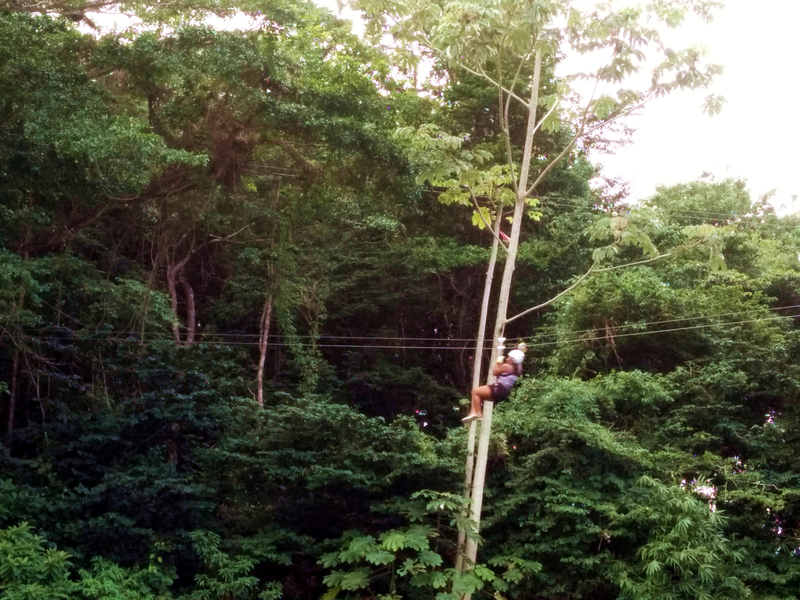 This internationally certified ziplining adventure park in Chaguaramas, Trinidad offers a thrill of a lifetime with 7 lines and 5 canopy walks/net bridges through the trees of the beautiful Tucker Valley. Safe, thrilling adventure!!!. Once a large reservoir that supplied water to most of Port of Spain and environs. The Hollows, has been drained and is now one of the most picturesque destinations in Port of Spain adorned with longstanding Poui trees and horticultural trees. Located obliquely opposite the Emperor Valley Zoo, this part of the Queen Park Savannah is the ideal destination for a family picnic, Sunday evening relaxation or a family day out of fun and light games. Built in 1804, by Sir Thomas Hislop for protection against the Napoleonic fleet. The fort looks over the city of St James and has a great view of the Gulf of Paria. Formerly called La Vigie, Fort George is situated on the hills to the North of St. James overlooking the Gulf of Paria. 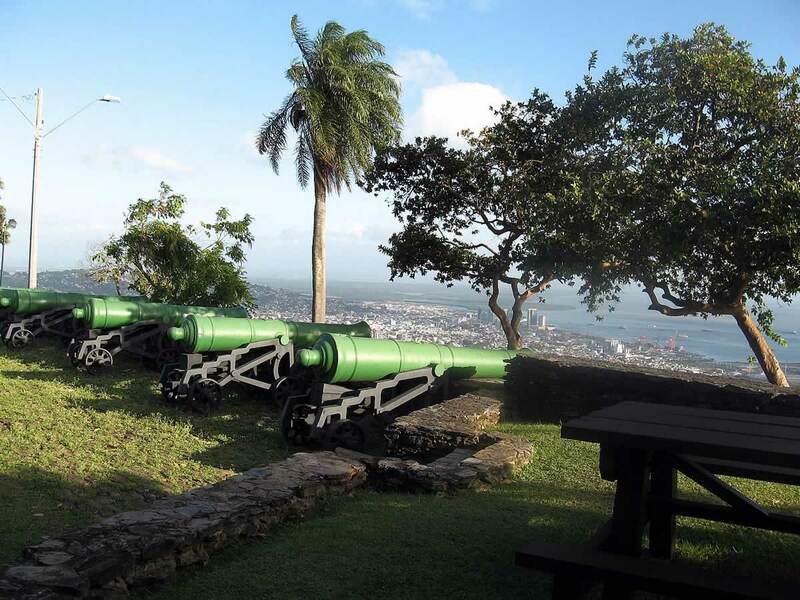 The fort, which was part of a complex of fortifications, is the best destination for one of the most spectacular views of Port of Spain and the sea. In addition to the beautiful vista at this well preserved structure one can see the original cannons, dungeons, artefacts of the day and a signal station which was established in 1802 and designed by Prince Kofi Nti, son of King Kofi Calclai of Ashanti, West Africa. Built in 1804 under the direction of the then British Governor, Brigadier-General Sir Thomas Hislop, the fortifications at Fort George consisted of sea defences and a series of supporting batteries: V. I. Z the York; Princess Charlotte; Abercombry and Cambridge on the lower slopes and Cumberland to the North above the Fort. Considered well-nigh impregnable in the day, it was the major defensive position in the Trinidad, but it was never to experience military action. In times of rumours of war the merchants of Port of Spain would store their records, cash and valuables here. Fort George ceased to be a Military establishment in 1846. The Royal Botanic gardens houses 700 hundred trees of which thirteen percent (13%) are indigenous to Trinidad and Tobago while the other trees and plants represent all the other continents of the world. The Botanic Gardens in Trinidad is located in Port of Spain. 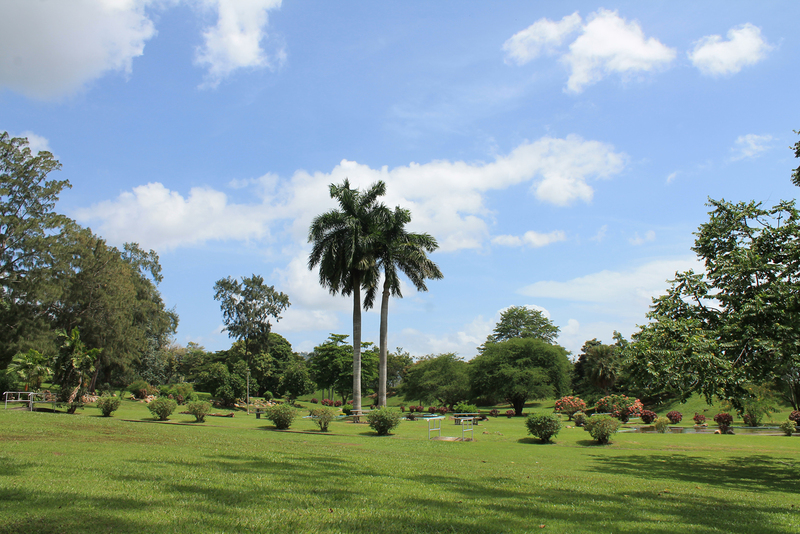 The Gardens, which were established in 1818, are situated just north of the Queen’s Park Savannah. The landscaped site occupies 61. 8 acres (25 hectares) and is known as one of the oldest Botanic Gardens in the world. 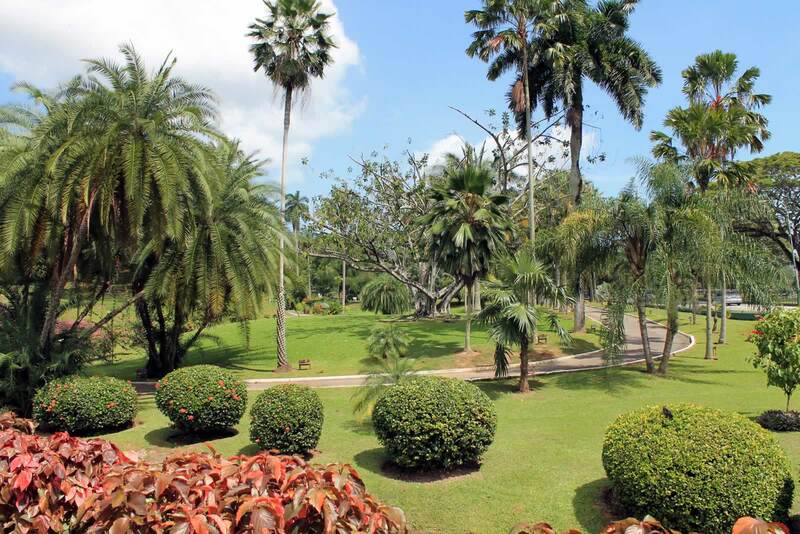 Apart from all the flora that can be found at the Gardens, the grounds include a small burial plot in which former Governors of Trinidad have been buried since 1819. The Gardens are open to the public every day of the year from 6 a. m. to 6 p. m.
The Nylon Pool is a natural, metre-deep crystal clear swimming pool with a sandy bottom in the middle of the sea created by an offshore sandbar and a still lagoon. Take a rejuvenating swim With the deep ocean on one side and palm fringed beaches on the other. This is one of many serene destinations in the tropical paradise that is Tobago. Located just south of Buccoo Reef, you can relax in the soft white sand bordering the thigh-high turquoise waters. If you can't resist the urge to go in, you can float in the still lagoon, with the deep blue ocean on one side and a palm-fringed beach on the other. Locals claim the water here has the ability to rejuvenate anyone lucky enough to swim in it. Accessible by glass-bottomed boat from Store Bay and Pigeon Point, the area was named by Britain’s Princess Margaret in 1962, who likened it to the transparency of nylon, when she spent her honeymoon there. And it remains today a popular idyllic destination for couples and families alike. You can not leave Tobago without a visit to the unique jewel that is Adventure Farm and Nature Reserve, a 12 acre working organic estate which engages in sustainable agriculture. 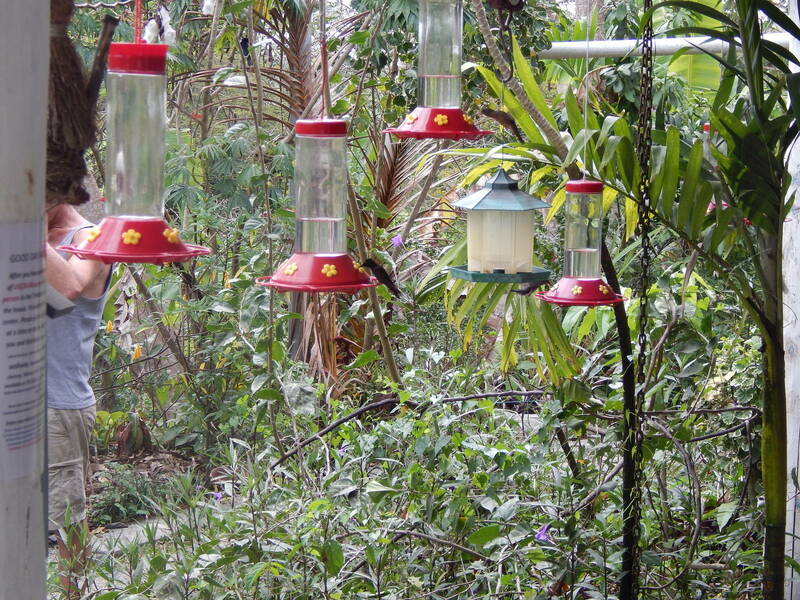 This small plantation grows citrus and other fruits and the best place for bird watching as it is home to many species of birds like the Mot Mot, Blue Tanagers, Humming Birds, and many more. This is wonderful 12- acre estate in Arnos Vale is a birdwatcher's paradise, where you can discover over 50 different types of birds, butterflies and iguanas. While you visit you are free to pick and eat mangoes and citrus fruit. The reserve was awarded for being a business venture that has found the ideal balance between being a haven for wildlife and being a model for sustainable Eco-tourism. It is only minutes away from palm-fringed Arnos Vale Beach which is excellent for snorkeling. The Asa Wright Nature Centre (AWNC) is a Not-for-Profit Trust established in 1967, it’s Mission: “To preserve a part of the Arima Valley in its natural state; to create a conservation and study area and to protect the wildlife therein for the enjoyment and benefit of all persons of this and succeeding generations”. The Centre was selected by the Ecotourism Society and listed in the October 1999 issue of Audubon Magazine as one of the finest eco-lodges in the world, it was also selected as the model for a case study on “Eco-tourism as a Strategy for Sustainable Development”. As you make your way along the Blanchisseuse road, the adventure has begun, vines hanging, blind corners and precipitous drops, lush Christophene farming and nature sounds, you are definitely getting nearer to your destination. 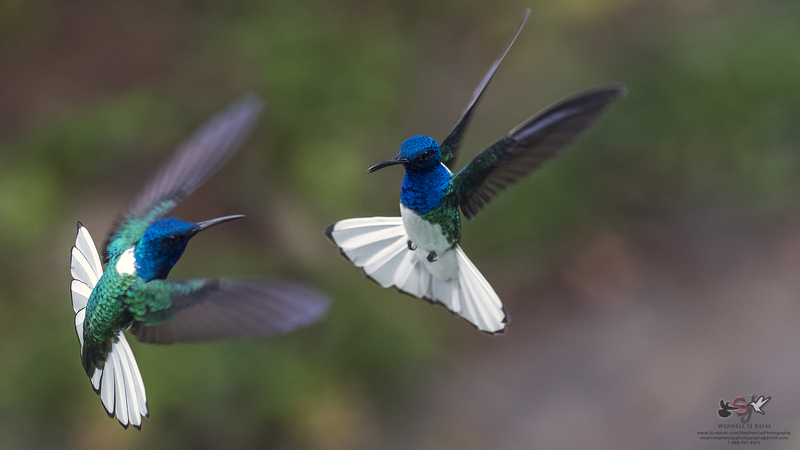 The AWNC and Lodge is a must to experience, it is the best destination in Trinidad for unique birding and natural history experiences. Overnight guests wake up to the alarm of a variety of bird sounds, and as they gravitate toward the veranda they help themselves to our plantation grown robusta coffee, found only at Asa Wright. Breakfast is all local, with our very own whole wheat bread, local jams and jellies made from fruits harvested in our garden. Daily we welcome visitors as we are open to the public from 9am – 5pm,we offer daily natural history tours at 10.30 am and then at 1.30 pm. We serve creole food in our restaurant please call ahead with your dietary requirements so that we can cater to your needs. Families are encouraged, the allure of our small clear water pool, the connection with nature, the relaxed pace and peaceful environment brings a sense of contentment we all need to experience.